A Quick Look: Villa Maroc has been using Hotelogix’s Channel Manager, Facebook booking engine and GDS integrations which helped the hotel increase their bookings by 55%. The TripConnect integration by Hotelogix has helped them scale up their reviews to 364, thus making them stand on the 17th position on TripAdvisor. Villa Maroc was using a legacy system prior to Hotelogix which was incapable of integrating with the Channel Manager which slowed their booking process. The staff was often found making errors in invoicing hence the owner started looking for an alternative. The transition to Hotelogix was smooth and proved beneficial. 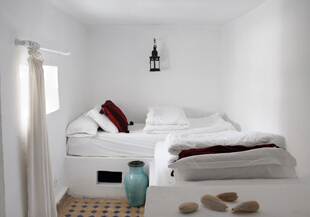 Situated in Essaouira, the Villa is the first quintessential Riad (traditional Moroccan house/palace converted into a hotel) in the medina of Essaouira. Villa Maroc consists of 24 rooms which redefines luxury as the resort is a lavish combination of Thai beach side living and furnishings from North Africa. Villa Maroc was using a local legacy PMS which was constrained by technology, lacked integrated channel management and other mediums to sell rooms online. Apart from this, the owner often found the staff making errors in invoicing which resulted in a lot of slip-ups. Abderrahim’s peer and a very old user of Hotelogix, Mr. Grégoire Aubron, owner of Jardin Des Douars, suggested him to move out of legacy and invest in a cloud based PMS. When Abderrahim took a trial of Hotelogix PMS, he found the system to be user-friendly and highly affordable. He immediately opted for Hotelogix and since then there has been no looking back. Hotelogix came with a powerful PMS and a centralized Distribution System which helped him not only streamline the operations but also build a stronger market presence. He eventually opted for Hotelogix’s PMS in French language and was assisted by the local support team Forleaders to set the system up in no time. “There are not many comprehensive Cloud PMSs that are available in French. I appreciate Hotelogix offering its service in the language of our choice along with a local support team that we can reach out to anytime,” says Abderrahim. Steep increase in bookings by 55% within a few months of integrating with Channel Manager, Facebook booking engine and GDS. The integration with TripConnect got the hotel to the 17th position out of 77 Riads on TripAdvisor with a whopping 364 reviews in a short period. Rate packaging became smoother with integrated POS. The number of errors considerably reduced, giving the staff more time to spend with guests. The hotel made huge savings and got quick returns as compared to the previously used legacy PMS. Hotelogix has recently on boarded 11 Riads who are using the PMS and Distribution System. One of the recent clients is Riad Noir D’Ivoire which is regarded as the best Riad in Marrakech. 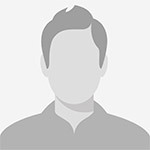 Note: Hotelogix is now offering a Free Forever PMS plan. View details.